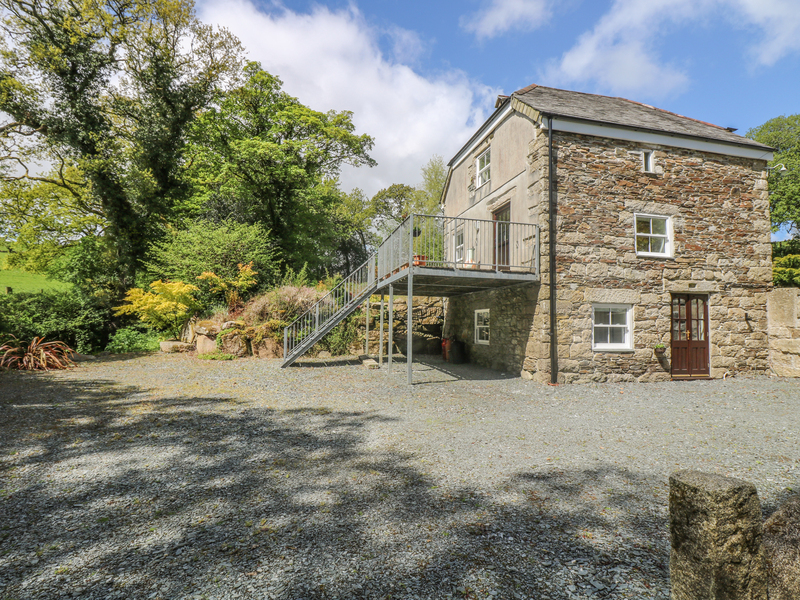 Botternell Mill is a beautifully converted cottage situated near the town of Launceston in Cornwall. The cottage can sleep four people in two bedrooms, which are made up of a second floor double and a ground floor twin, both with en-suite facilities. The rest of the cottage is made up of a first floor open plan living area with kitchen, dining area and sitting area. To the outside is off road parking for two cars. There is a front and side patio garden with furniture and a balcony with furniture. Located in a wonderful area, Botternell Mill makes an ideal place for a great holiday at any time of the year. Oil central heating. Gas cooker and hob, microwave, fridge / freezer, washer / dryer, dishwasher, Wifi, selection of books, games and DVD's. Fuel and power inc. in rent. Bed linen and towels inc. in rent. Off road parking for two cars. Garden and balcony with furniture. Sorry, no pets or smoking. Shop and pub 2 miles. Note: Check-in 4pm.